Producing and maintaining plots of land and crops presents unique challenges to professionals in the agriculture and forestry industries. Icaros’ state-of-the-art technologies and solutions provide the necessary information for cost-effective and fast forest planning, inventory and protection, detection and remediation of invasive or diseased species, biomass analysis, pest infestation and irrigation system monitoring. 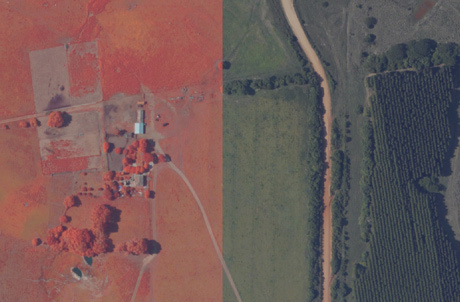 We use RGB, NIR, thermal and multispectral imaging in arable areas to collect actionable data to help customers identify, classify and measure the land they oversee, and to maintain it in the most efficient ways. We provide the most advanced topographical information for measuring biomass volume, soil properties and assessing land. Our high spectral resolution imagery provides the data needed to identify variations in crop canopies to determine crop health. With the help of Icaros’ valued partners, our solutions and expertise have successfully identified irrigation defects and irrigation inefficiency in various crops, water stress patterns in arid and semi-arid areas, and mapped agricultural soil water-holding capacity in not-yet-irrigated lands. 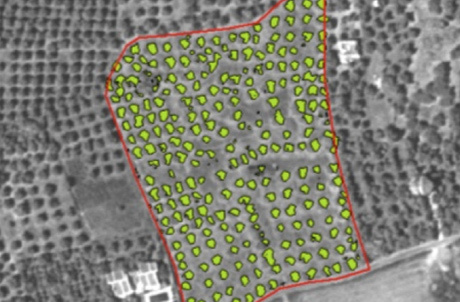 Icaros has unique processing technology for handling uniform areas, such as vast agricultural fields with limited geometric details to create the most accurate, geo-referenced orthomosaics of these areas. Our short processing time enables rapid decision-making and response by farmers and irrigation specialists. Using the latest in thermal and multispectral imaging technologies, and with collaboration of leading scientists, we collect and process data to produce actionable information about water stress and irrigation of lands for professionals in the agriculture and forestry industries, to facilitate and solve their most complex irrigation challenges. Icaros’ solutions and expertise have successfully identified irrigation defects and detected water status of several crops. The data Icaros provides to our customers has enabled them to see water stress patterns in arid and semi-arid areas, to schedule irrigation intervals and to map agricultural soil water-holding capacity in not-yet-irrigated lands. In Hawaii, as in many other ecologically diverse areas of the world, invasive species of weeds and pests are devastating not only to the environment, but to agriculture, tourism, public health and lifestyles of the individuals who call the islands ‘home’. These invasive species cost the state of Hawaii half a billion dollars annually in crop losses and property damage alone. Prior to human arrival on the Hawaiian Islands, a new species successfully colonized Hawaii about once every 15,000 to 30,000 years. Today, with the easy movement of goods and people around the world, a new species arrives in the islands about once every 18 days. This infiltration has created a race against time to protect the native ecosystems from invasive species. Our clients, The Nature Conservancy (TNC) and Resource Mapping Hawaii (RMH) worked together to control this invasion and the serious threat it poses to Hawaii’s economy, natural environment, and people. The Icaros team of experts customized a sensor system for RMH’s and TNC’s unique needs, to collect dual-scale coverage data at ground resolutions as close as 1cm. Icaros’ support team of experts trained RMH’s operators to use this custom-configured system and Icaros’ processing software which produces fully ortho-rectified image mosaics to 1 cm resolution, for the necessary analysis of plant life and identification of invasive species in the target areas. 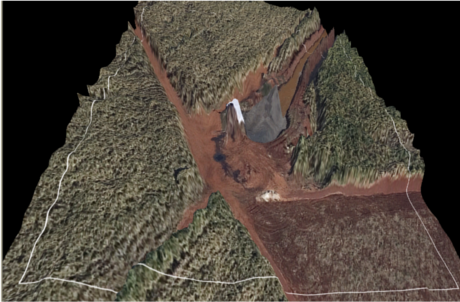 With the help of Icaros’ systems and data processing software, OneButton Professional, Resource Mapping Hawaii successfully identified and located invasive species, completing the analysis portion of their overall mission. This awareness to the extent of pest and weed invasion provides the necessary data for decision-makers and TNC’s invasive species controllers to use a helicopter-mounted herbicide applicator to safely and effectively eliminate invasive weeds with surgical precision. 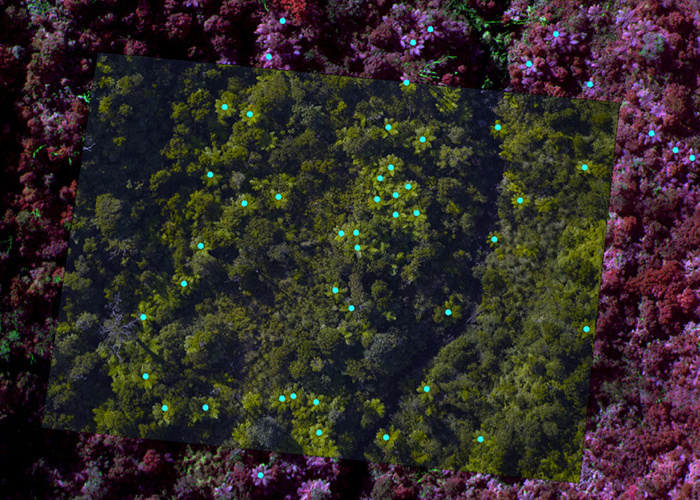 RMH uses Icaros’ sensor system and processing software on a continual basis to monitor and identify new invasive species throughout the Hawaiian Islands. Our technology provided the client with the information they needed, in the detail they required, with low costs and high flexibility.